Following my recent review of The Stonhouse in Clapham I was really excited to visit its sister venue The Tommyfield in Kennington earlier this week. Here is my review of The Tommyfield. The Tommyfield has a slightly different feel to The Stonhouse, with the dining area set above the pub floor in an L shape along the edges of the venue by the big windows. Seated in the corner overlooking Kennington was the perfect spot for people watching on a spring evening. 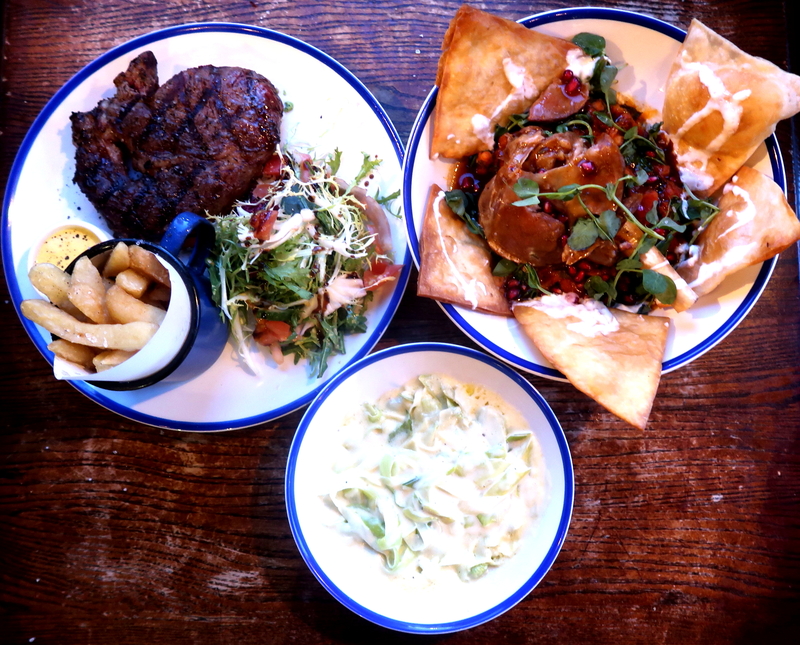 The menu had a good selection of sharing boards, starters, mains and desserts as well as an additional specials board with options such as chateaubriand and a selection of different pies. You can check out the full menu by clicking here. 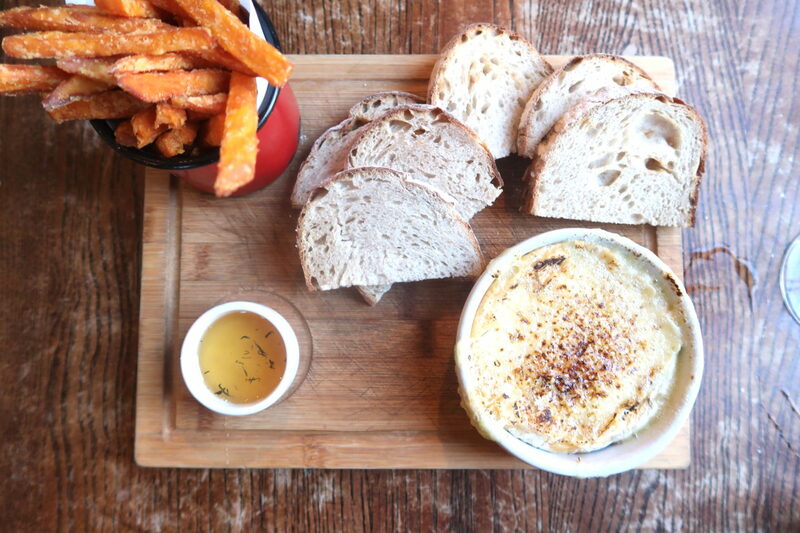 We opted for the baked camembert to share as a starter – it was a tough decision as there were lots of things on the starter menu that we fancied like the ham hock and the scallops but in the end we couldn’t resist. A whole camembert perfectly gooey with bread to scoop it out with. Decadent and delicious. It was also served with sweet potato fries and honey dip which were probably surplus to our requirements, but that’s what you get when you order something “for the table” as a sharing starter. Not that I’m complaining as they were really tasty. For the main course again we were spoilt for choice but in the end went for Rib Eye Steak and Lamb shank tagine, chickpeas & apricot, pomegranate, yoghurt and tortilla. The rib eye was tasty and perfectly cooked, and the creamy leeks and edamame side you should definitely order when you go as they are mouthwateringly good. What I really want to concentrate on though is the lamb tagine. Wow. The lamb tagine was in-cred-i-ble – so much so that I felt the need to tweet and Instagram about it mid-mouthful. 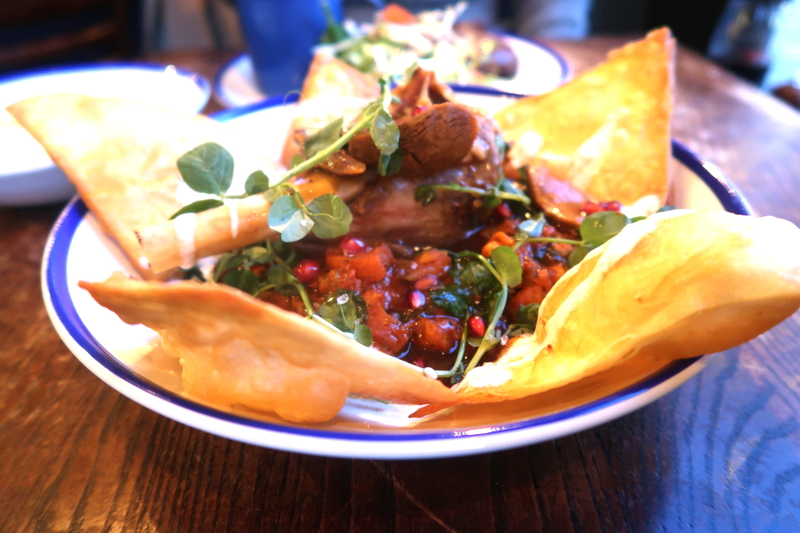 Despite it saying “lamb shank tagine” on the menu for some reason I was expecting it to come out as lamb pieces in a tagine. However it was a whole, perfectly cooked shank of lamb, the meat melted off the bone with the lightest of touch from a knife. The sweet and bitter compliment of the tagine worked perfectly and the fresh crispy tortillas were a novel and tasty accompaniment. One of the best things I have eaten in a long time. The service was really good and attentive with our friendly waitress offering helpful recommendations and was able to answer any questions that we had. More importantly she kept an eye on our wine level to ensure that we were offered more drinks if it started running low! 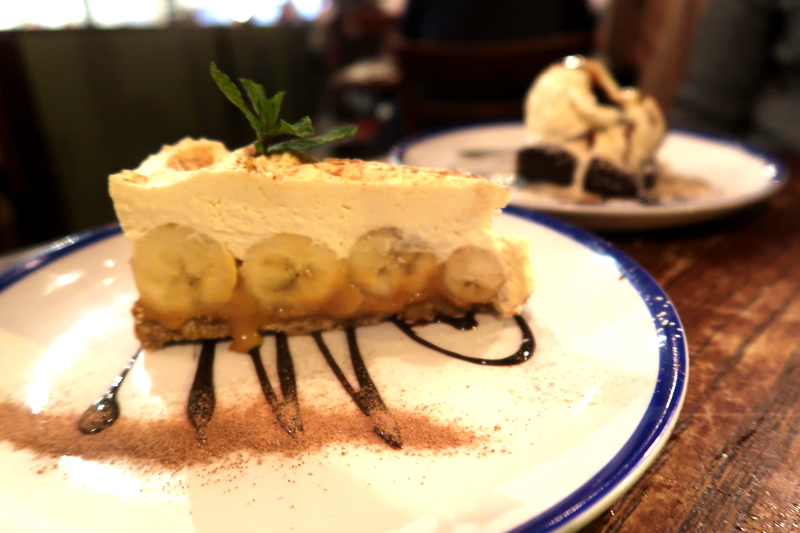 There probably wasn’t much room left for dessert but we had it anyway – chocolate brownie and banoffee pie. You can’t really go wrong with a brownie but banoffees can often be a bit hit or miss. Well this one was a hit, a big fat slab with loads of cream and toffee sauce, felt like the homemade banoffee my mum would have made if she ever made banoffee, if you get what I mean. The perfect end to the meal. The Stonhouse has been a long time favourite of mine and set the bar high. The Tommyfield definitely delivered though so I might have to start splitting my time between the two. 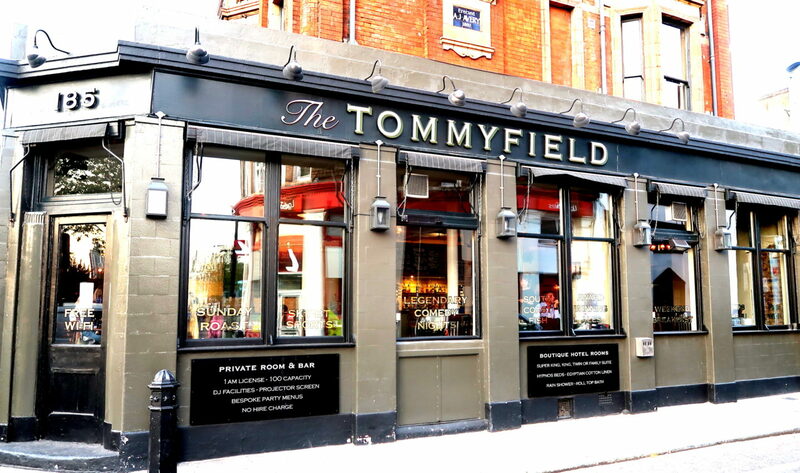 I hope you liked my review of The Tommyfield – you can check out their website here.